World Cinema Paradise | Blu-ray and DVD Review Round-Up: Films by Charlie Chaplin, The Quay Brothers, Vojtěch Jasný & more! 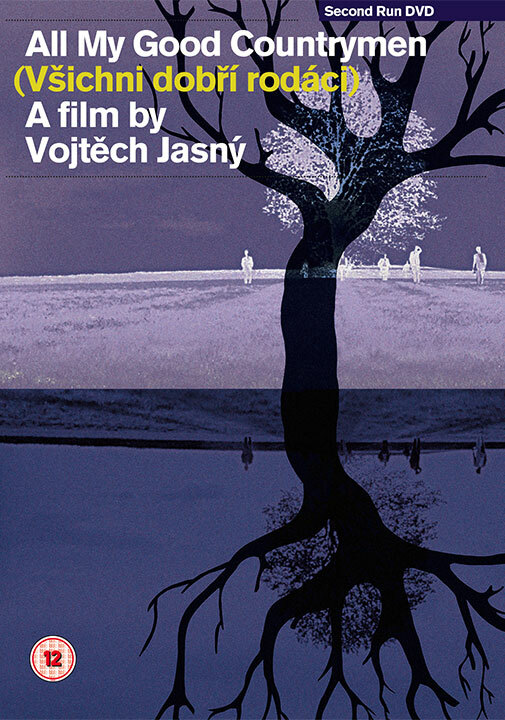 Winner of the Best Director and Jury Prize at the 1969 Cannes Film Festival, and voted by critics one of the top three Czech films ever made, Vojtěch Jasný’s All My Good Countrymen is a film whose pleasures unfold slowly. Miloš Forman called Jasný “the spiritual father of the Czech New Wave,” but this isn’t necessarily a film that prominently displays any new wave bona fides, instead utilizing a classically edited episodic structure and voiceover narration that’s almost purely literary in nature. 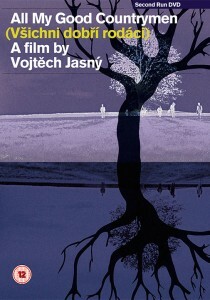 Nevertheless, one shouldn’t expect something staid or dull from Jasný’s film, which combines intimate, interpersonal storytelling with flashes of lyrical visual style, best seen in its gorgeous shots of golden fields and flocks of birds flying, which almost function like pillow shots between the film’s various episodes. The autobiographical film weaves together the stories of a number of residents of a small Moravian village, from just after WWII until just before the events of the Prague Spring in 1968. The joy of post-WWII liberation soon gives way to fears of a Communist takeover, and the subsequent period of collectivization issues in an era of totalitarian rule in which friends and neighbors are pitted against one another. That sense of a community rent and fractured informs the ultimately elegiac tone of All My Good Countrymen, which sketches the stories of half a dozen villagers, including church organist Ocenás (Vlastimil Brodský), tailor Franta (Václav Babka) and petty thief Jorka (Vladimír Mensík), whose cleft palate earns him the nickname “Lithpy” and who provides the majority of the goofy comedic sensibility Jasný uses to leaven the proceedings. Eventually, it’s farmer Frantisek (Radoslav Brzobohatý) who emerges as the film’s de facto protagonist and leads the futile charge in resisting attempts to have landowners’ property seized. 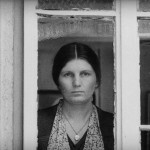 All My Good Countrymen makes the political personal with its vignettes of small-town life in a rapidly changing European landscape, and it’s presented by Second Run in a beautiful, convincingly film-like DVD edition that’s sourced from a new restoration from the Czech National Archive. Accompanying the feature is Jasný’s 1969 short film Bohemian Rhapsody (Česká rapsodie), a dialogue-free reverie that makes a good companion piece to Countrymen by virtue of its stirring images of assembled crowds, punctuated by close-ups of expressive faces. The set also includes a booklet with an essay by author and film programmer Peter Hames. Originally shot as a silent film by Flaherty and his wife, Frances Hubbard Flaherty, Moana examines the life of Samoan people on the South Seas island of Savai’i. 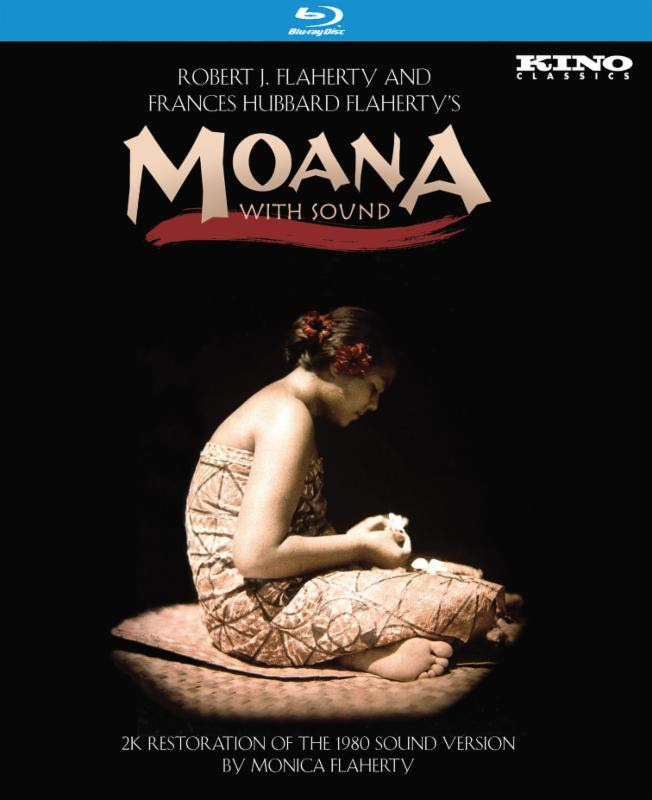 Decades later, their daughter, Monica Flaherty, traveled back to capture nat sound, which led to a re-release of the film under the title Moana With Sound. 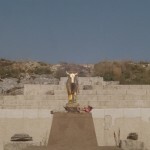 If the obviously staged scenes of islanders capturing a wild boar in a trap or undergoing a solemn tattoo ritual were factually dubious before, the addition of the soundtrack, which carefully dubs both environmental sounds and dialogue (ascertained by lip-reading), really pushes it over the edge. Nevertheless, Moana at its best is transporting filmmaking, and the added audio certainly adds to the immersion. Despite being recorded more than 50 years apart, the conjunction of scenes of ceremonial dances with authentic regional songs has a kind of hypnotic beauty. It’s relatively easy to ignore the rather forced plot about a young man’s coming of age while absorbing the Flahertys’ images. That’s perhaps nowhere more evident than in a sequence where islanders swim and spear-fish in the ocean, their bodies seemingly merging with the water in a series of increasingly abstract shots. Moana is more of a fantasy of paradise than a serious look at the lives of those it depicts, but in moments like that one, it earns it. Kino’s new Blu-ray release presents the film in a 1080p, 1.33:1 transfer, sourced from a new digital restoration by Bruce Posner and Sami van Ingen, the Flahertys’ grandson. The Blu-ray transfer and its digital source are both quite impressive, delivering a steady presentation free of major damage. Though the image remains a little soft throughout, detail and grayscale separation are strong. The uncompressed mono soundtrack can be a little harsh at points, and it’s not pristinely crisp, but given the circumstances it was created under, the track more than lives up to expectations. The disc includes a number of valuable extras, including an HD version of Flaherty’s short film Twenty-Four-Dollar Island (1927). Filling in a number of the details behind the complicated production history is a 39-minute making-of, with extensive comments from restorer Posner. Posner also details his restoration in a 12-minute featurette. 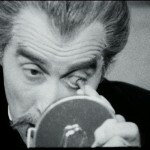 Historian Enrico Camporesi adds some comments in a short piece, while archival material includes a 1960 interview with Frances and some Flaherty home movies. 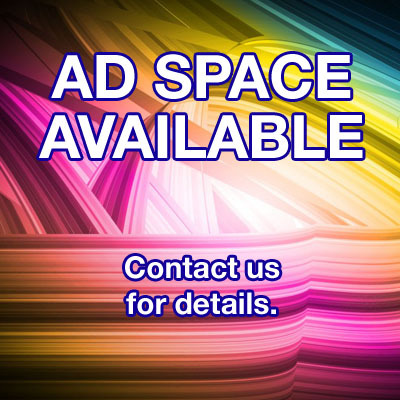 A trailer is also included. Following their restorations of Charlie Chaplin’s 1914 Keystone films and his 1916-1917 Mutual comedies, Lobster Films and Cineteca di Bologna completes the 12-year Chaplin Project with his films at Essanay, 15 key transitional works from 1915, now available in a luxe 5-disc Blu-ray/DVD combo set from Flicker Alley. Like Flicker Alley’s previous Chaplin sets and last year’s Mack Sennett Collection: Vol. One, Chaplin’s Essanay Comedies is as valuable for its educational value as its entertainment quotient; the evolution of a comedy legend plays out incrementally before our eyes. 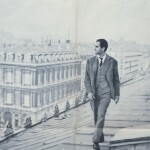 It was at Essanay that Chaplin’s signature blend of humor and pathos really began to take shape and his Tramp character was fleshed out from a rakish scoundrel to a more melancholy one, each step forward often accompanied by one or more backward. 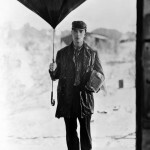 In the appropriately titled The Tramp, Chaplin incorporates an atypically unhappy ending, with an iris in on the solitary tramp as he shuffles away down the road, his heart broken by unrequited love. 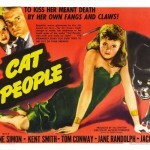 Not all of the films hint toward a paradigm shift. Earlier efforts His New Job, where the Tramp lucks into stardom on a movie set, and In the Park, in which he wreaks havoc on a relaxing couple, are increasingly repetitive gag machines, and though Work demonstrates Chaplin’s growing ability to construct mounting anarchic madness, the bits remain solidly of the knock-down, drag-out variety, which can grow tiresome. Nevertheless, pleasures abound in these films, even if they’re limited to minor gestural bits of brilliance, one of Chaplin’s greatest comic abilities. Witness the way he attempts to entice a bulldog with a sausage in The Champion, forced to douse it in salt for the picky pooch. 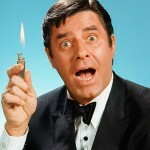 Or the way he plops a lampshade on a figurine of a woman, turning it into a skirt he can peek up in Work. Or the way he dishes up donuts in A Woman, far funnier than any of the drag work to come (which, to be fair, is still pretty funny). Later films in the set display Chaplin’s increasing facilities for story structure (The Bank), parody (Burlesque on Carmen, later expanded by the studio into an unauthorized four-reeler) and social commentary (Police). 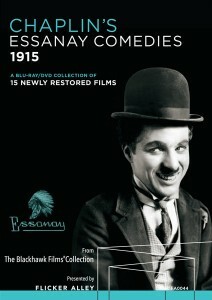 Whether viewers are interested in tracking the origin of Chaplin’s comic ideas or simply enjoying his nascent but prodigious physical talents, Chaplin’s Essanay Comedies is an essential set. 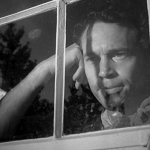 The 1080p, 1.33:1 transfers are sourced from the Chaplin Project’s 2K restorations, a heroic feat of elements discovery and patchwork of disparate sources. Original negatives did not survive, so these transfers are pieced together from a variety of elements, and the resulting picture quality is remarkably consistent, major fluctuations few and far between. Despite the ubiquity of fine scratches, picture quality ranges from solid to exceptional, with some shots displaying truly stunning clarity. 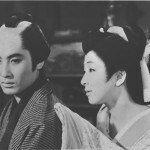 These new restorations easily offer the best available home video versions of these films. The 2.0 DTS-HD Master Audio scores by Robert Israel, the Mont Alto Motion Picture Orchestra and the Teatro Comunale di Bologna Orchestra are clear and vibrant. 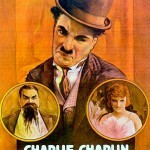 Flicker Alley’s set includes two bonus films, both bastardized versions of Chaplin’s works. 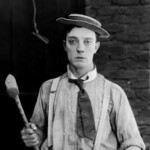 Charlie Butts In was assembled from alternate takes from A Night Out, while Triple Trouble compiles scenes, some unused, from several Chaplin films. The set also includes a booklet with detailed liner notes from historian Jeffrey Vance. There have been seemingly endless films that feature the lives of a variety of disparate characters intersecting in subtle and not so subtle ways, most culminating in some banal variation on the idea that “everyone is connected.” Michael Haneke, ever the iconoclast, proceeds down a similar path, only his conclusion is that everyone is disconnected, both from strangers and their intimates, and even themselves. Maybe this isn’t a unique idea either — urban alienation and ennui being common arthouse touchstones — but Haneke’s approach, both clinical and unbearably direct at turns, makes for a compelling exploration of the theme. 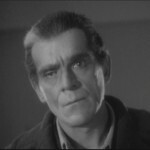 Code Unknown deals primarily with literal alienation, as immigrants struggle to achieve equal footing with French nationals in the Paris-set film. Every interaction is charged, fraught with rippling tension that’s as threatening as a powder keg. The film, divided into single-shot tableaux by cuts to black, sets that tone early with a brilliant, zig-zagging, nearly 10-minute take on a Paris boulevard, where disillusioned teen Jean (Alexandre Hamidi) tosses some trash into the lap of begging Romanian immigrant Maria (Luminita Gheorghiu). This attracts the attention of Amadou (Ona Lu Yenke), a man of African descent who demands that Jean apologize for the indignity. The commotion attracts the police and Anne (Juliette Binoche), who is the girlfriend of Jean’s older brother, Georges (Thierry Neuvic). In the end, Maria gets deported, Amadou is arrested and Jean is sent back to the country where his father is waiting on the family farm. 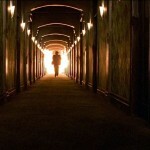 The impact of this single event is felt throughout the remainder of the film, but rarely in obvious ways. Haneke fills in some backstory, giving us glimpses of Amadou’s family and Maria’s life back in Romania, but many of his discrete scenes are presented without obvious context or a deceptive set-up. Are we seeing something from Anne’s own life or is she shooting a scene in one of her projects as an actor? 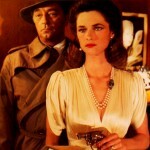 The integrity of images is also questioned via Georges’ work as a war photographer and his pet project of surreptitiously taking pictures of people on the metro — also the location of the film’s most powerful scene as Anne is rendered helpless by a harasser, her inability to communicate literalized. Code Unknown is presented in a 1080p, 1.85:1 transfer, sourced from a 2K restoration of the original 35mm camera negative. Overall, the transfer is excellent, presenting sharp, detailed images and a nice film-like grain structure. 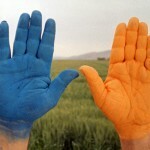 Colors are muted, but consistent, and detail loss is minimal in low-light sequences. Damage is negligible. Unfortunately, there are several occurrences in the early boulevard sequence where the film seems to skip ahead a frame or two; whether this is the result of an error in the transfer or something inherent to the source material is unclear. The 5.1 DTS-HD Master Audio track doesn’t have any such issues, delivering a clean, dynamic track with crisp dialogue. Criterion offers up a few new extras in addition to some previously available material. 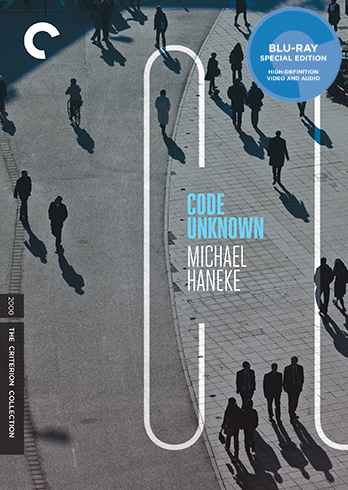 Both new supplements are interviews — one with Haneke and one with scholar Roy Grundmann, who traces Haneke’s career from his television work to his early theatrical work (including “The Glaciation Trilogy”) up to Code Unknown. Previously available features include a making-of featurette, a close-up look at the boulevard sequence, including storyboards and camera set-ups, and a brief introduction to the film from Haneke, in which his comments about European immigration seem especially prescient. Three teaser trailers and an insert with an essay by critic Nick James round out the extras. 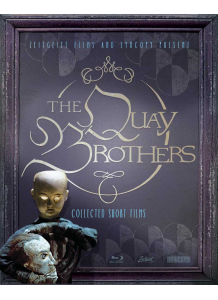 To watch a film by the Quay Brothers is to seemingly be transported directly into the (shared) mind of the twin-brother filmmakers, a cluttered workshop of discarded toys and repurposed found objects somewhere on the border between dream and nightmare. A recurring image in several Quay films features a doll, its skull neatly sliced open at a 45-degree angle, getting its brain matter yanked out in large tufts of stuffing, and it’s not difficult to imagines the brothers’ films originating the same way, the subconscious mined for indelibly haunting images. Such a description shouldn’t be taken as a dismissal of the meticulous craft on display in the 15 short films included in Zeitgeist’s Blu-ray upgrade of their previous DVD collection. The majority of their films consist primarily of stop-motion animation, with some featuring hand-drawn animation or live-action material, but no matter the medium or the length of the film, one gets the sense of a complete world with its own bizarre brand of internal logic. Two of the Quays most famous films feature forays into otherworldly studios full of tactile objects both wondrous and sinister. The Cabinet of Jan Švankmajer (1984) pays tribute to their Czech contemporary (one whose influence on their work has possibly been overstated), as a book-headed instructor imparts knowledge to his apprentice, and both struggle to describe objects based only on touch. In Street of Crocodiles (1986), a liberated puppet finds itself exploring the crevices of someone else’s — or maybe its own — nightmares. The Quays’ work and its sudden jolts of expressive imagery lends itself well to innovative advertising, whether it’s the brothers themselves producing it or simply the work of inspired copycats. Included in this set are four segments of the Stille Nacht movement (1988-1994), commissioned for music videos and cable TV interstitials, which the Quays approached as advertisements, albeit decidedly unusual ones. The set also includes three new films not on Zeitgeist’s DVD release: Maska (2010), a Stanislaw Lem adaptation, Through the Weeping Glass (2011), a live-action tour of disconcerting medical exhibits, and Unmistaken Hands (2013), a tribute to Uruguyan writer Felisberto Hernández. 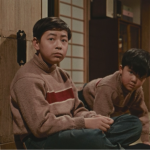 Other highlights include fractured fairy tale The Comb (1990) and exploration of mental illness In Absentia (2000), both of which feel like private tragedy magnified into something apocalyptic. 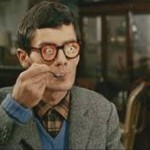 The high-def transfers, all presented in the films’ original aspect ratios, are generally strong, given the inherent limitations imposed by stop-motion techniques. The films that benefit the most are those like Crocodiles or Stille Nacht I, where minutiae like dirt-crusted screws or thousands of accumulated iron filings are so finely detailed, one can truly appreciate their tactile qualities. 2.0 DTS-HD Master Audio tracks present faithful representations of droning music or craggy narration. 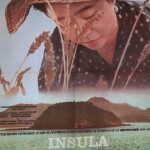 Not all of the extra features make the leap from DVD to Blu-ray, as several “footnote” films like Nocturna Artificialia (1979) and The Calligrapher (1991) are dropped, along with some interview snippets and trailers. Commentary tracks by the Quays for six films are carried over. New to the set is Quay superfan Christopher Nolan’s short documentary Quay (2015), in which he pays a visit to the brothers’ workshop. The set also includes a booklet with an introduction from Nolan, an expanded Quay Brothers Dictionary from Michael Brooke and an essay by Michael Atkinson. “City symphony” doesn’t seem like quite the right term for Manfred Kirchheimer’s Stations of the Elevated; its repetitions on a theme punctuated by sudden improvisatory bursts of color and sound are strongly reminiscent of jazz, a fact underlined by Charles Mingus’s fragmented score. Now out on DVD from Oscilloscope Laboratories with an excellent HD restoration, Stations of the Elevated deserves to rise out of obscurity and claim its place as a singular piece of avant-garde filmmaking. Traversing across New York City’s boroughs, Kirchheimer’s camera affixes itself to moving trains, matching their pace; some shots whiz by while others linger, slowly snaking along like a train that’s just getting up to speed. Almost all of the carriages are emblazoned with graffiti — NYC legends Slave, Daze and Blade are among those represented — but the film never explicitly identifies any work or any artists. In Kirchheimer’s depiction of the city, humans only make their way into a few shots. 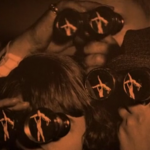 There are some close-ups, but most are wide shots, the human figures seen in miniature or in abstract shadow play. 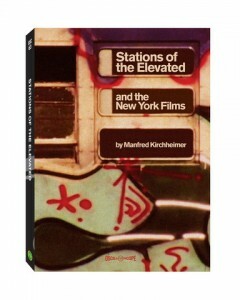 For graffiti fans, Stations of the Elevated is undoubtedly a vital document of a bygone era, but there’s plenty here for the uninitiated to latch onto, particularly Kirchheimer’s vision of the city as a supple, vibrant entity, and his examination of art in the public space. He juxtaposes images of tagged train cars with hand-painted billboard advertising, the colors that feel effervescent in the former just seeming garish in the latter. Oscilloscope has put together an exceptional package in their two-DVD set, which also features Kirchheimer’s four films he made before Stations of the Elevated. Colossus on the River (1965) and Bridge High (1975) are balletic visions of a docking ocean liner and a trip across a suspension bridge. Claw (1968) pits man versus nature and man versus architecture in its screed against urban renewal. Short Circuit (1973) is the set’s only fiction film, a faux-verité examination of racial disparity. 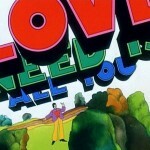 All of the films have been given a new HD transfer, sourced from the original 16mm elements. Each of is accompanied by an interview with Kirchheimer. Additional extras are abundant, and include another interview with Kirchheimer about Stations of the Elevated, a discussion about the graffiti in the film with artists Lee Quinones and David Villorente, a short featurette comparing shooting locations then and now, a look at “Old Timers Day” at the sadly now defunct gallery and mural space 5Pointz and a short film on Kirchheimer’s life made by one of his students. The film treatment and script notes are also made available as a PDF file on the disc.